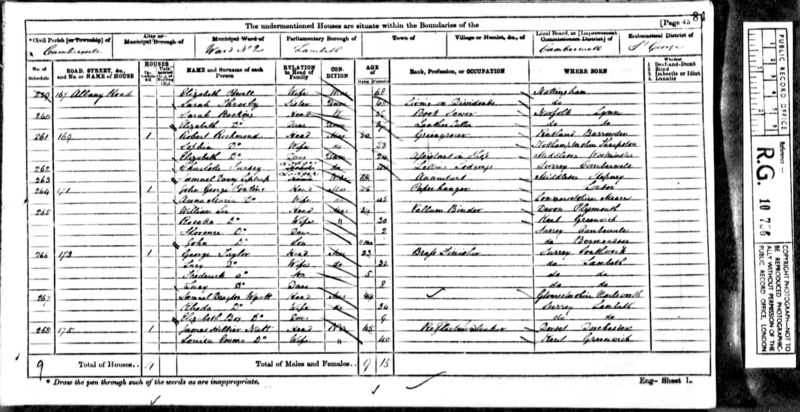 Elizabeth Goodliffe was born 28th August 1792 in the family home of Lambley Lodge near Belton in the County of Rutland. She was the first child of Thomas and Mary. 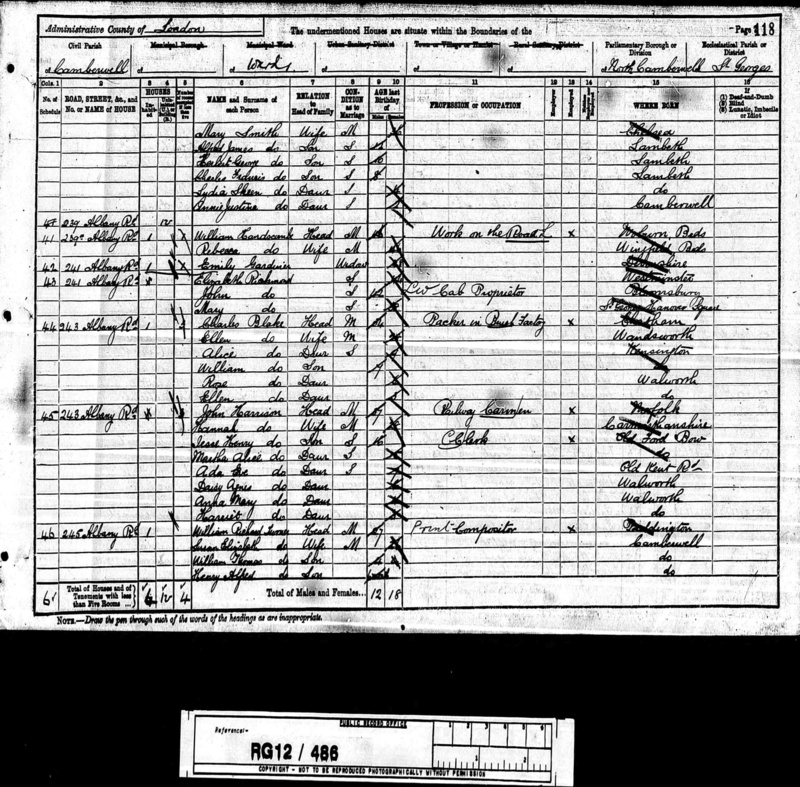 "My eldest sister Elizabeth was born in 1793. She was rather small in stature, and of delicate health, of a sweet gentle disposition, very much resembling her Grandmother Goodliffe. She went to live at her Grandmother Arnold's, she unfortunately married Samuel Richmond, who became a sat inebriate and after a short life of pain and relief on account of her husband's bad habits and violent conduct and unkind treatment, she died before she was 40, leaving 5 sons and 1 daughter, most of whom died in middle life. I spent some little time about my 10th year in order that I might get a little schooling and saw the sad efforts of drunkenness; it had such an influence upon my mind that I resolved with God's help I never would get drunk, I am thankful to have been enabled to keep my resolution; I have been an abstainer for nearly 56 years. 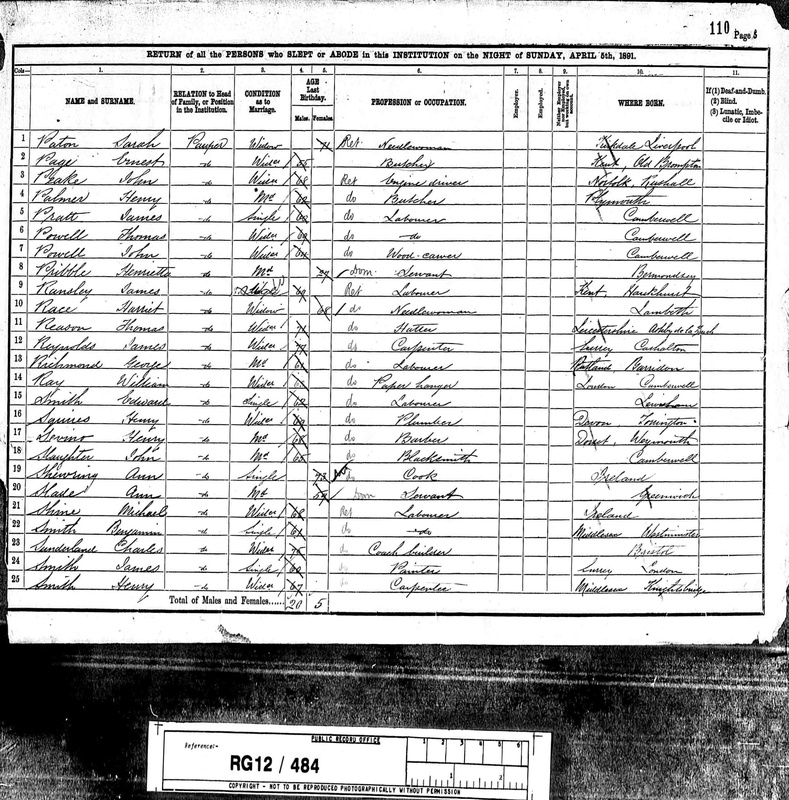 It appears that Mary Ann died in London in late 1861 (Dec qtr St Geo Han Sq 1a/452) just after the 1861 census. 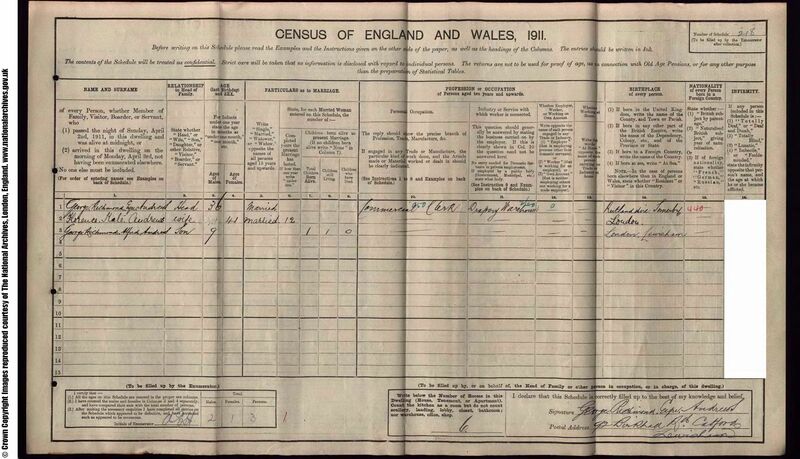 Samuel died on the Isle of Wight in early 1871, just before the census was taken. 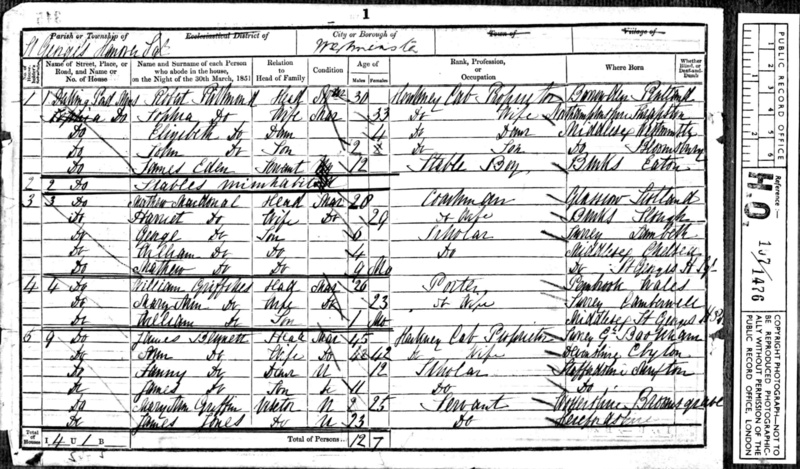 Of three children, George Goodliffe married Catherine NEALE in Leicester in 1869. 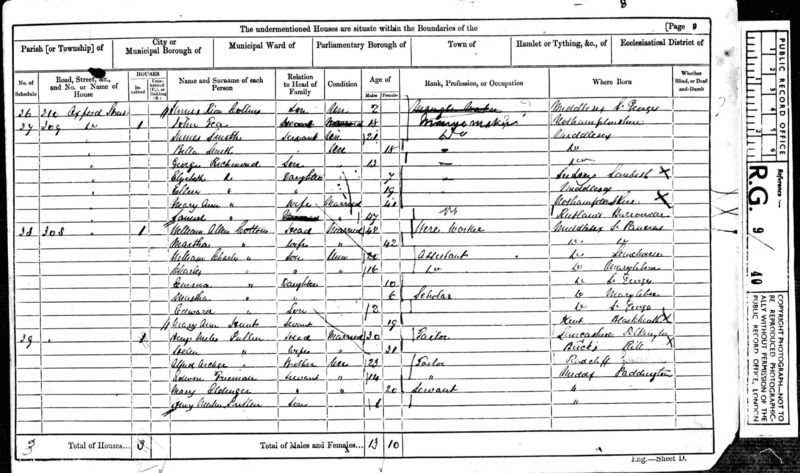 They had two children Florence Kate (dec 1869) and George Goodliffe Neale ( Dec 1870-Jun 1871). 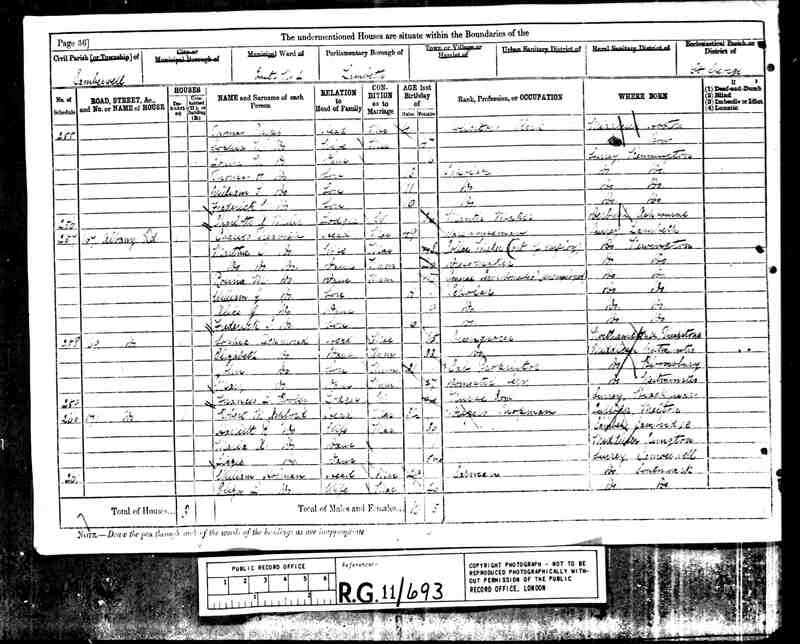 George (snr) died in 1876 (Sep qtr Dartford 2a/220). By 1871 Florence is at a boarding School in Ashby de la Zouch. Thomas married Mary KERFOOT in 1840. 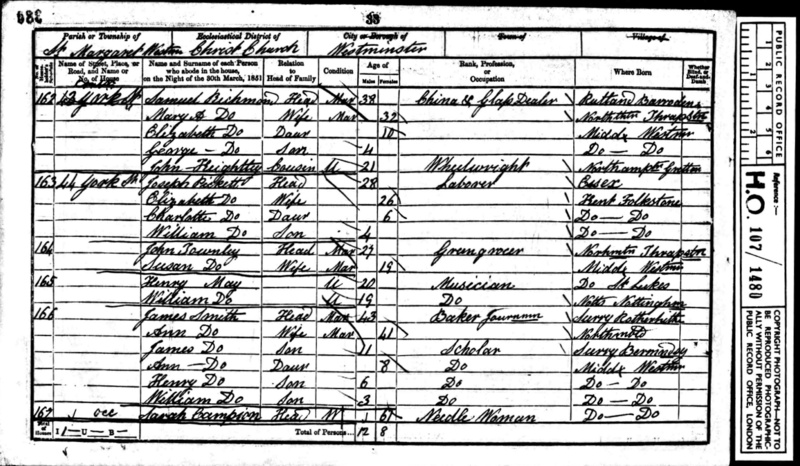 They had two children born in Kings Cliffe, Northhamptonshire - Thomas Kerfoot RICHMOND and Samuel Goodliff RICHMOND. 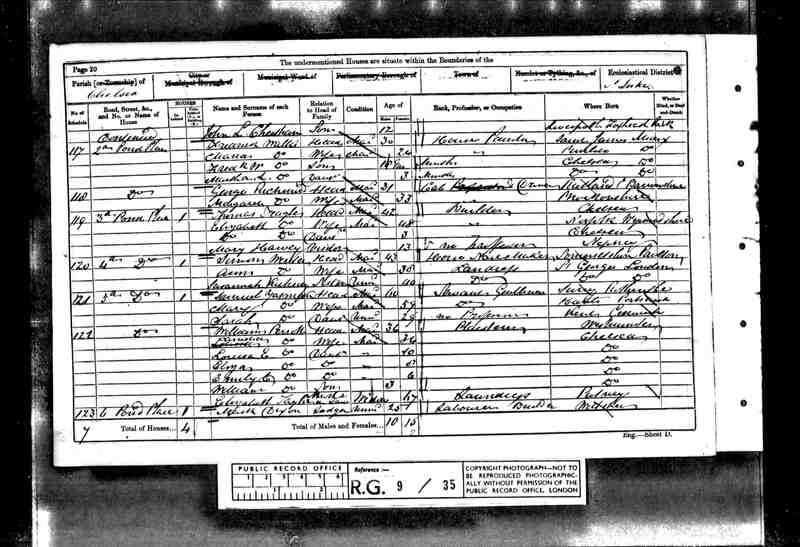 There is more information about this family here. 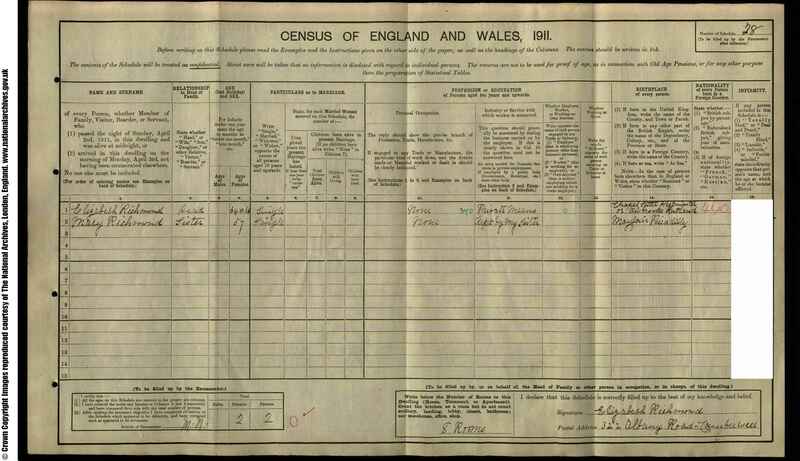 Robert was born 5 February 1821 in Barrowden, Rutland. In early 1844 he married Sophia TOWNLEY, the younger sister of Mary Ann TOWNLEY, who had married Robert's brother Samuel in 1839. 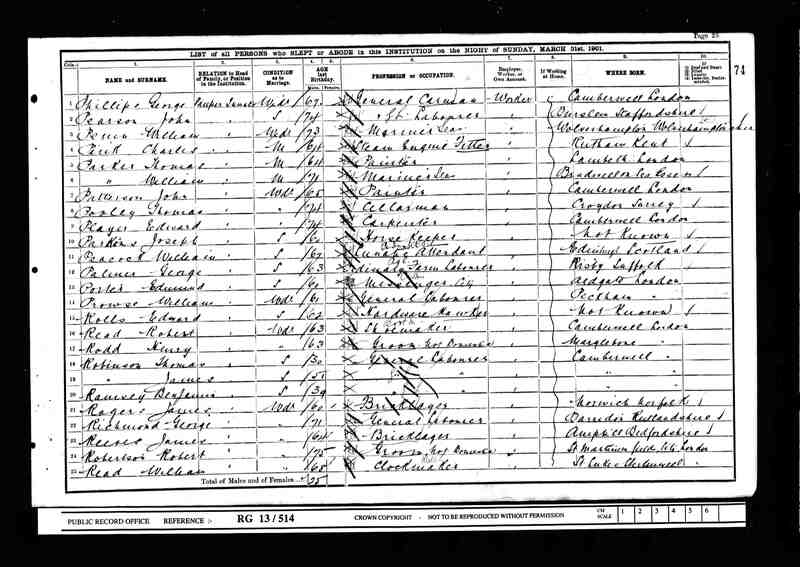 In the 1871 census they had moved again to 169 Albany Rd Camberwell where Robert was a Greengrocer. 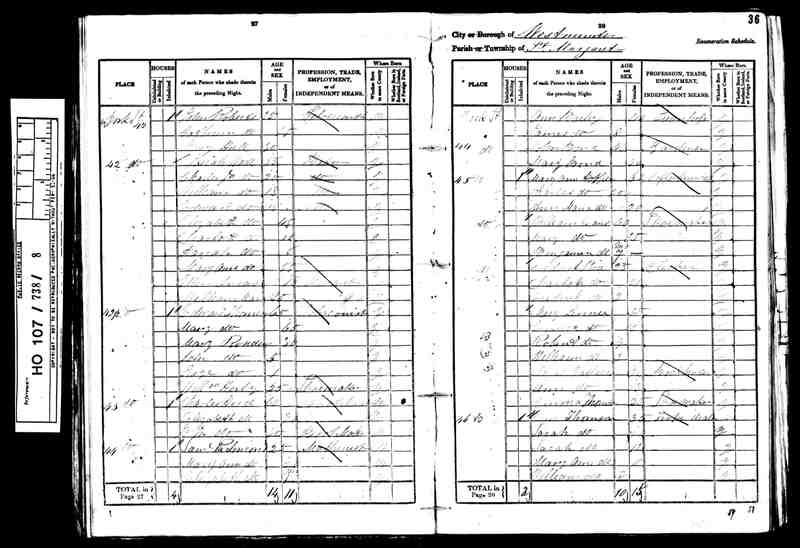 Robert died in Camberwell in March qtr 1887 (Camberwell 1d/580), and Sophia in Dec qtr 1888 (Camberwell 1d/571). 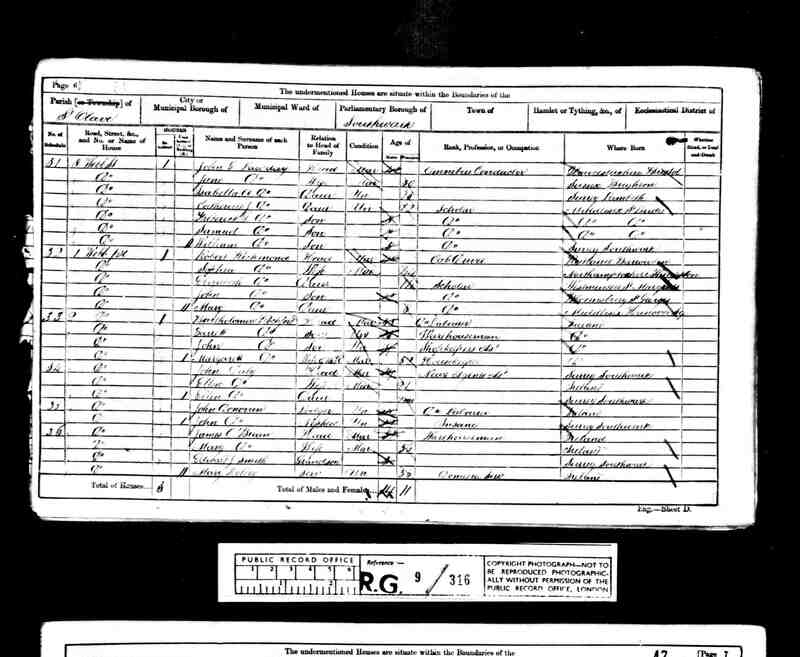 Elizabeth died in March qtr 1927 (Camberwell 1d/1080). I have not found Mary's death. 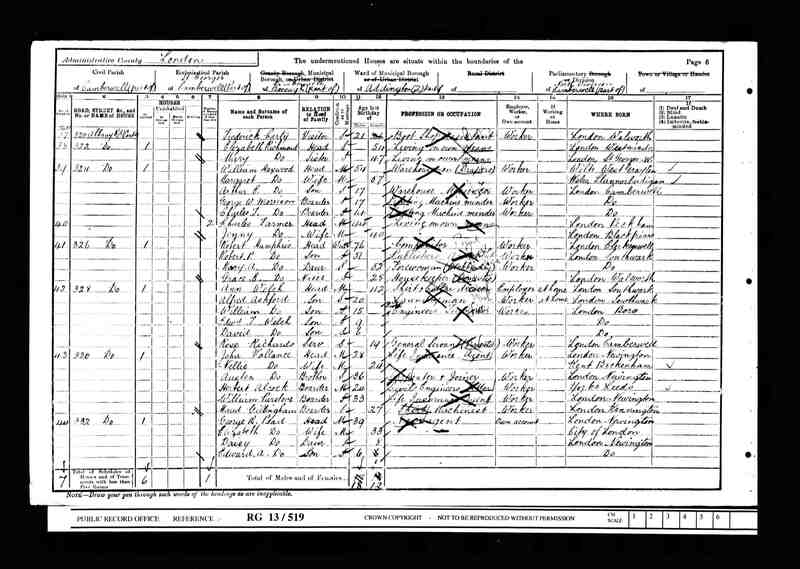 In 1901 he is shown as Widow, so Margaret had died some time prior.